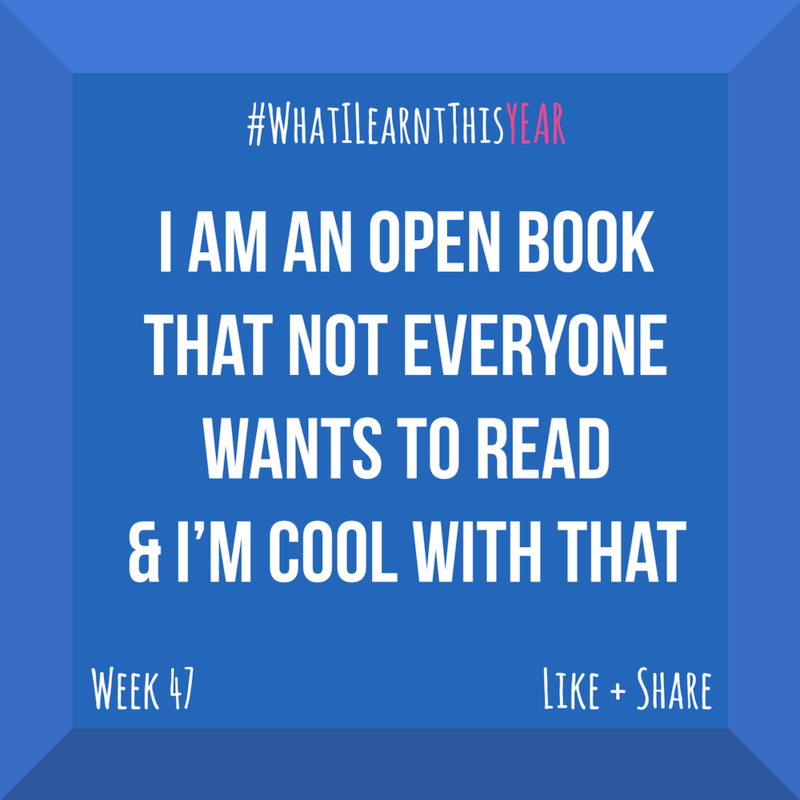 I have realised that I am an open book. Most of me is on full display and I don’t have a lot of hang-ups when it comes to subject matter… well I do have some, but not as many as most. I like to share stories and ideas, things I’ve learnt (well obviously LOL) and talk about big ideas that interest me. It’s something I’m passionate about… I like sharing ideas with my immediate family, friends close and far and online communities. 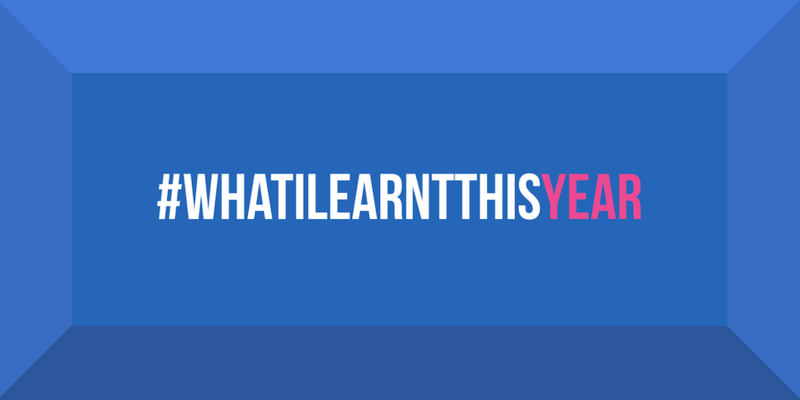 I have really enjoyed sharing my ideas via #WhatILearntThisWeek for the last 3 years and I did it without expectation of response. There is something lovely about doing a project sans expectation… it’s liberating as it means any response is a pleasent surprise. I wrote these posts for myself as much as I did it to help other people. It’s been a kind of public diary. It’s never concerned me if my ramblings were popular, read widely or shared… that’s not what it was about. I have decided not to continue with #WhatILearntThisWeek in 2018 only for the reason of time-saving. I am deciding instead to focus my daily art practice. All of the lessons and self-reflection has made me realise that I want to be a full-time artist. I want to be known for my work, earn a good living from my art and expand my skills so that I can fulfil my own creative imaginings. I’m sure I will still find a way to share my musings, as I can’t help myself, but from now on I will regularly share my artwork instead. So it’s out with an old project and in with a new… and I will once again share my work without expectation of response or success. Here’s to a creative and art filled 2018! Viva creativity! !